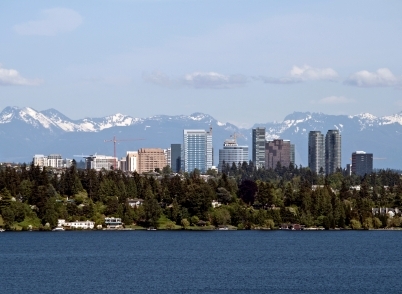 Bellevue is located across Lake Washington from Seattle. Lake Washington is the second largest in the state, and is a ribbon lake (created by a glacier). Lake Sammamish is located to the east of Bellevue. The city's long-term development plans include the Bel-Red Corridor Project, a large-scale planning effort to encourage the redevelopment Bellevue's northern portion. 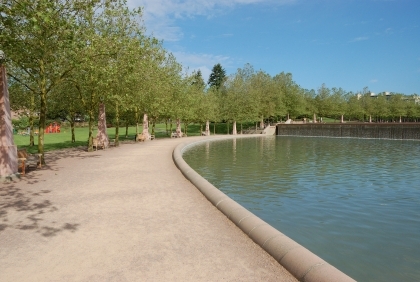 Bellevue has many different neighborhoods and communities within it, such as Bridle Trails. The city abuts Redmond, home to Microsoft. Bellevue College and City College are located in Bellevue.